Though geographically bound by their respective languages under discussion, the contributions to this publication still bear high relevance to African historical linguistics in general. Language reconstruction and comparative studies benefit from phonological, lexical, morphological, syntactical and semantical case studies. 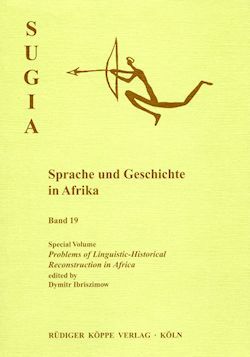 Further topics of the text include discussions on methods and theories of African historical-comparative linguistics.